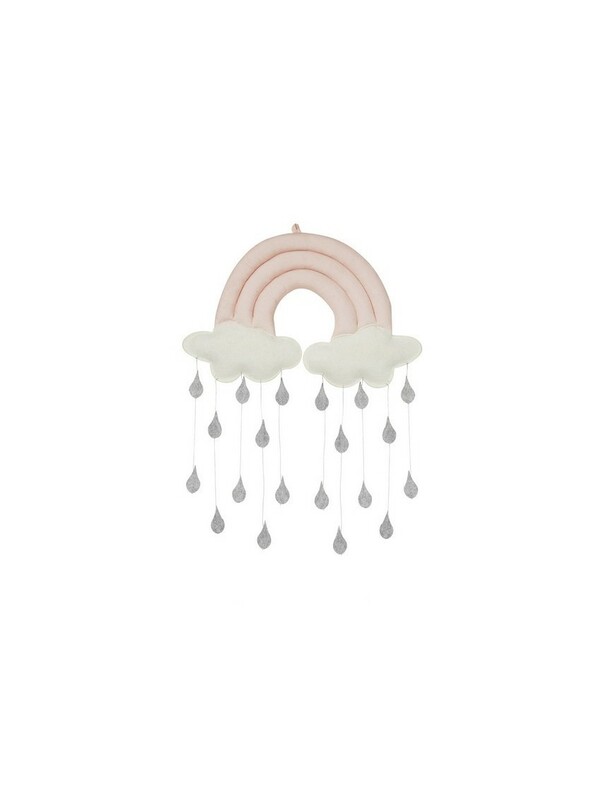 Delightful mobile to hang from the ceiling over the bed or the changing station. This Rainbow mobile is handmade, variations can therefore occur. Measurements: Approximately 29 x 18 x 2 cm. Dimensions approximately 29 x 18 x 2 cm.